Come join me at The Neverending Bookshop from 10am to 12 pm for Indie Bookstore Day. 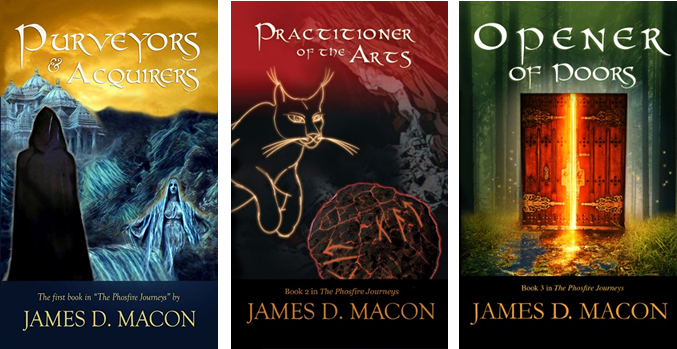 Local author James D. Macon will read excerpts from his exciting new book, Opener of Doors, the third installment in the Teen/Adult fantasy series, The Phosphire Journeys. He will also answer your questions about his real-life journey as a pediatrician-turned-writer. Books will be available for purchase and signing.